We spend so much time in our classrooms. It can be like a second home. We will get acquainted today by sharing three(3) of our favorite areas in our classrooms. I love my birthday board. I found these bags at Publix and got yellow tissue paper to put inside. I have the names of the students on the bags for their birth month. I made the month labels myself. When I started on TPT I only was doing the decorative items for the Hollywood theme. I am so happy that I ventured into making units and such. I love my Hollywood themed door. I have gotten a lot of compliments on it. I was at the school working so hard at the beginning of the year. Now it is your turn to link up!!!!! Don't forget to include the linky graphic with a link back to my blog so others can join in on the fun. Feel free to link up all week. Remember to share some love to others as you are linking up by following their blog, commenting, or just reading their posts. I love your Hollywood theme! 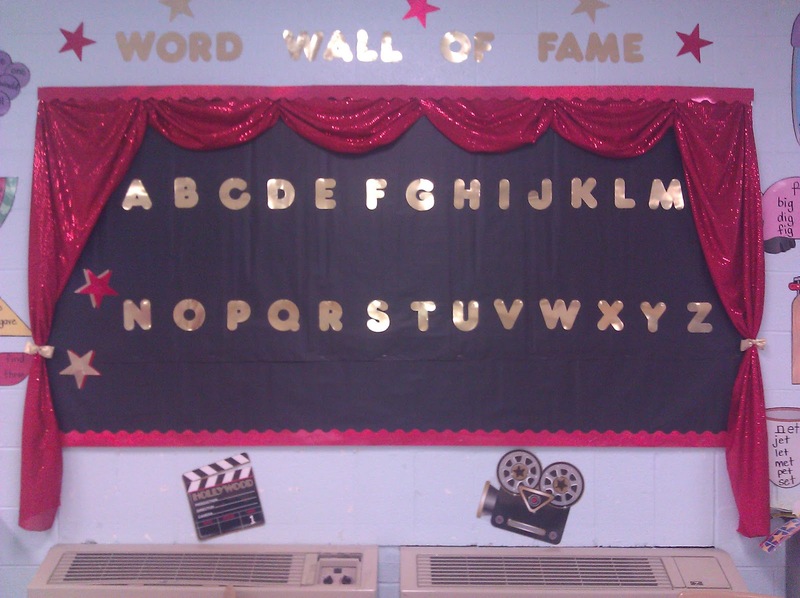 That Word Wall of Fame looks beautiful! I love your door. Thanks for hosting this linky party each week. It's so nice to get to know other bloggers. I love your boards too cute! I love your theme! All the boards are adorable! You are so creative! I love your theme! 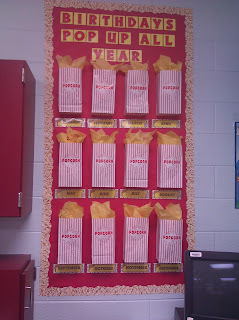 What a fun word wall! It looks great and love the theme! LOVE your word wall! Super cute idea! Thanks for continuing to host this fun linky....we love the theme this week! I love your Hollywood theme, I have the same theme in my room! 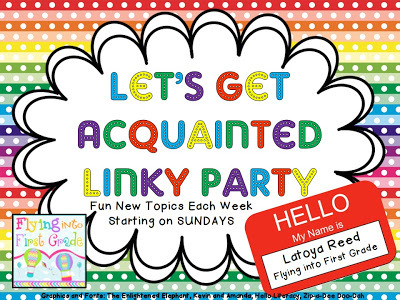 Just linked up with you for my very first Linky Party! I just found your blog and linked up! Your word wall is too cute!! Your theme is darling! I LOVE your word wall!! That is absolutely fabulous! Your word wall and bday board is absolutely adorable! Do you change themes each year?? What a fun linky! Just added my own link...thank you for hosting! Thanks for hosting this. I'll be back next week for sure.